Registration for the 2019 event has now closed. If you’re interested in taking part next year, please get in touch. The marathon route is one of the fastest in the UK making that that elusive personal best a distinct possibility! 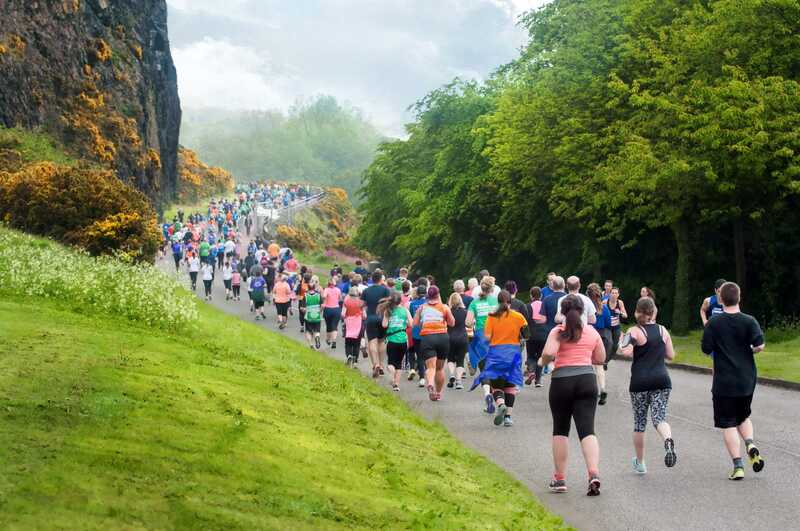 Edinburgh Marathon joined the world’s elite road races in 2012 by becoming the first marathon in Scotland to be officially recognised by the IAAF, the athletics governing body. The IAAF bronze label puts the race among the top 75 in the world making it a pivotal part of the sporting calendar for runners. The full weekend of events attracts around 30,000 runners, with thousands more lining the course to support. There are different races on offer over two days including the marathon, half marathon, 10k and 5k.